Ahead of the release of the new album, Bolbbalgan4 puberty has unveiled a track list that stimulates spring emotion. Bolbbalgan4 posted a track list image of their new mini- on their official SNS On 25, drawing attention. 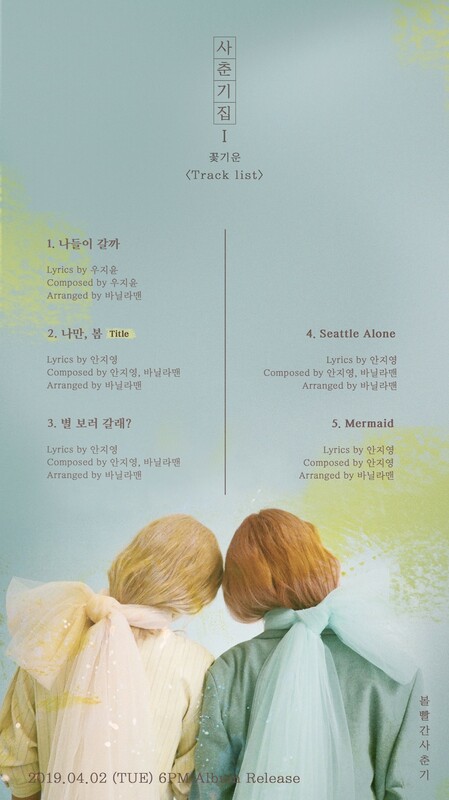 According to the released track list, the latest album by Bolbbalgan4 consists of five songs including "Shall we go picnic?" "BOM," "Stars over me?" and "Steattle Alone" and "Mermaid." Especially, following the previous albums "Red Diary Page.1" and "Red Diary Page.2," the album also showed the talented musician-like musical talent and ability as members of the Bolbbalgan4 wrote and composed the entire song. In addition, music fans are increasingly expecting a variety of songs that show the capabilities of the matured Bolbbalgan4 as musicians, from songs that can feel new music styles that have never been performed before. Bolbbalgan4’s mini album will be released on various online music sites at 6 p.m. on April 2.